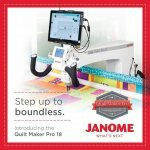 The Janome Quilt Maker Pro 18 is for the quilting enthusiast. 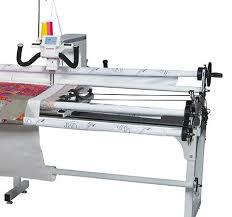 The frame can be made as a 12 foot, 8 foot or 4 foot, it is a solid robust frame which works with the Janome Quilt Maker Pro 18 longarm machine. With a throat space of 18 inches, you are able to artistically finish off your quilts, no matter the size, this frame is large enough to fit and quilt a King-size quilt down to Cot-size.